What debate on health and EMF, the win of Brexit supporters in UK and the surprising popularity of Donald Trump in USA have in common? To present some of the unbelievably surrealist discussions on EMF and health, that I conduct from time to time, here is one of them. Names and places are omitted from the quotes for privacy reasons. A person X from USA is visiting Europe and contacted me for advice. Nothing unusual or strange. But the escalation of the discussion was… strange and stranger by the time it ended… Quotes below are exact copies of full messages, with only names and places removed for privacy reasons. Wow, quite ridiculous response… I am not from [location omitted] and removal of tower needs to be done according to local laws. You should understand such simple issue. You know it’s the same everywhere in the EU. Show me an example where a cell phone tower in the EU has been removed because of neighborhood health concerns. EU is not like US. Every country has local laws. Dariusz, you have to be smarter to win at this. Have you sold out? Too much pressure on you to shut up? Children are dying from cell phone towers. You must not have kids. You must eat and sleep, Merkel and ICNIRP. Too bad. We will win across the EU. You will learn how to do this. For our children. For MY children. You have no courage, only book smarts. A shallow truth is that which shines when praised and tarnishes when threatened. Incredible that you believe countries in the EU have their own laws regarding cell phone tower installations. What planet are you on? Don’t you read EU commercial law? Unbelievable. You’re like a doctor who diagnoses but cannot cure. Do I look like I speak Swedish!? Can you find it for me, please? Oh God, please. For the children of [location omitted], please. You are a ridiculous Frenchman. I can’t stand it when the French get all conceited. If I weren’t from [location omitted], I’d give you the whole truth! Think of our babies, you madman! I think it’s all your fake machismo, all that bull-fighting nonsense and especially your French accent which everyone knows is fake! I don’t know what you are talking about. I’m NOT French. This discussion is pointless. Gdy będzie wysiąść swój tyłek i pozwać tych drani? Oni niszczą planetę i myślisz, że możesz trenować wszystkim ze swojego biura, ale w rzeczywistości nie są one słuchać naukowców. Te wieże telefon komórkowy musi być zdemontowana! you harass every mother who looks at your research and thinks they can save their children. and then you provide no muscle, no legal solutions, nothing to stop these toxic things. I did not respond anymore… It was an interesting debate. 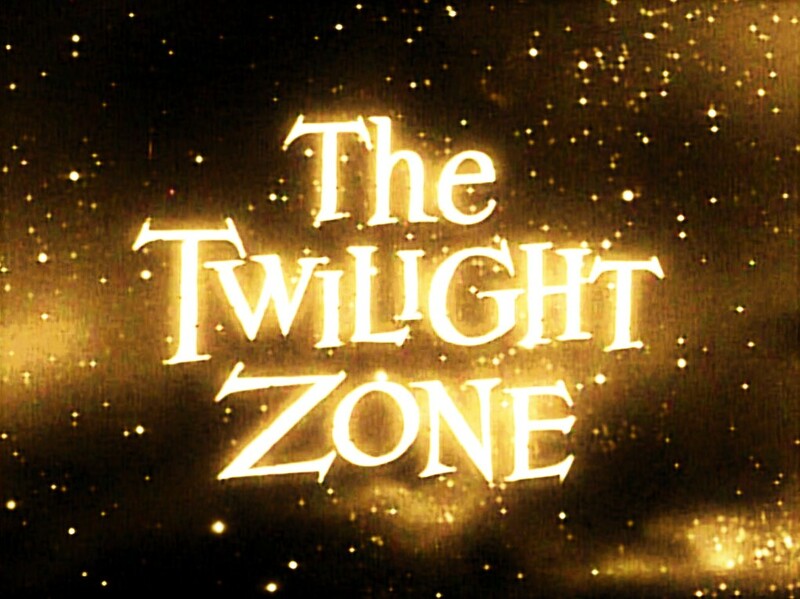 At some point I wondered how far into twilight zone it will go… It might look funny, but it is not… It is scary! It was an interesting “debate”. It is not rare that such “debates” occur. Just look on any EMF discussion throughout internet and you will find such “debaters”. Omnipresence of such comments and debaters is very bad PR for those wanting to bring out the message that we know too little about EMF effects to say that all is OK and we can move on… We do not know if all is OK because we do not have sufficiently reliable science to back it up. And a scary conclusion is that the democracy might have some very bad side-effects, like Brexit or even ‘Potus’ Trump… Scary! This entry was posted in Mobile phones and health, Science journalism and blogging and tagged babies, Brexit, bull-fighting, cell tower, cell tower erection, cell tower removal, children, Donald Trump, EMF, EU, Finland, French, French accent, Frenchman, Google translator, ICNIRP, Lithuanian song, local laws, machismo, madman, Merkel, Polish, Potus, scary, Swedish, toxic things, twilight zone, USA by dariuszleszczynski. Bookmark the permalink. Always interesting to read your work. I saw you on the WiFried program. I thought it was a reasonable program overall. The reaction to it has been overblown. Suddenly everyone gets precious about journalistic standards at the ABC, which have always been flexible. It is a pity how they treat Dr Demasi. There is a lot of background information that is not being made public. Here is hoping to a good result. In relation to your exchange with Person X. This person is clearly a troll. A very common Internet phenomenon. Some people get very excited about generating reactions in others. Do not feed trolls. They do nothing for society in general. Ignore him, he will then go and troll something else. These are very immature, socially maladjusted and sad people really. Trolls amuse only themselves. Unfortunately we must take the good with the bad, the good is that the Internet has allowed us to communicate with a magnitude of people and with an ease and at speeds that is truly wondrous. The bad is it exposes us to trolls. Dariusz, I’ve known you online for a long time, and you have invited me to guest blog on BRHP. It was my honor to do so. But I must take exception to your blog suggesting the dialogue above, which strikes me as coming from a psychologically-challenged individual, is representative of an “omnipresence” of such comments. You link those bizarre comments to Brexit and US politics, i.e. Donald Trump. This is a stretch. Trump has indeed made for the craziest election cycle ever in US history. He is not a politician. He is not a leader. He has never been a government official in any capacity. He is clearly not a humanitarian, and he is quite likely a Narcissist in the true psychological definition. Some Americans, but very few we know, will disagree with me. Trump is a TV personality (“The Apprentice”) who inexplicably won one party’s nomination by pandering to a vocal subset in the US, but to suggest in any way that a showman’s theft of the primary campaign and some disturbing comments from someone expecting you to be omniscient and omnipotent are linked is, in my mind, unfair. As Americans, the vast majority of us are wondering who these voters are who voted for Trump over a field of other sane options. Trump’s angry rhetoric is not representative of the US or England (Brexit), though I am sorry to say Trump is bringing out a bizarre anger in some citizens which is inexcusable. No one is more upset than a still classy majority of US citizens. This will pass, Trump will not win, hopefully people will calm down and rediscover their good manners, and civilized discussions will prevail.